Current WLUSU president Michael Onabolu (far left) and president-elect Annie Constantinescu (to Onabolu’s immediate right) join in. (Photo by Jody Waardenburg). The Wilfrid Laurier University campus definitely heard a “shake” Wednesday afternoon. 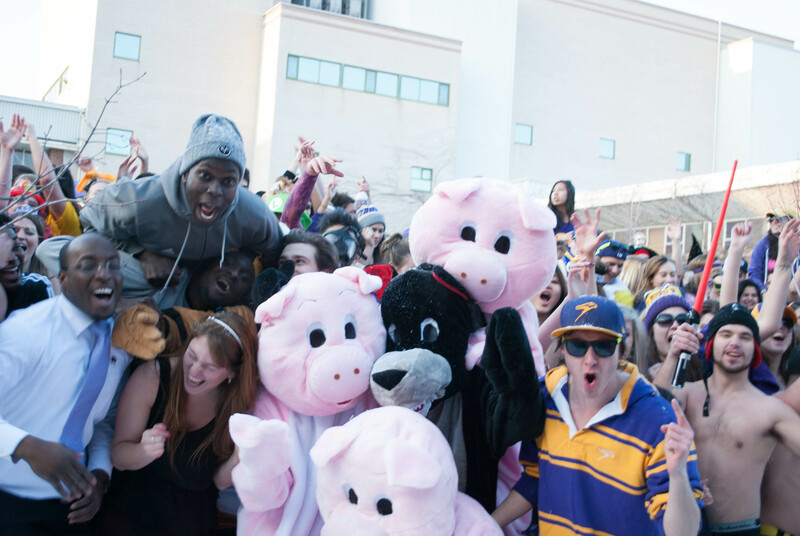 In the spirit of the latest online craze, hundreds of Laurier students gathered in the Quad to film another “Harlem Shake” clip to add to the collection that already exists online. Neighbouring universities such as Western University and the University of Guelph have also done their own versions. On Friday, another group of Laurier students filmed a version of the “Harlem Shake” video and it has reached more than 150,000 views. “I originally had it planned for a couple hundred people outside my residence, but it kind of grew a lot bigger than I ever hoped. I just wanted put out a fun video, kind of in the spirit of the ‘Harlem Shake,'” explained John King, the first-year business student who organized the event. King — who was not involved in the original video released Friday — said that there “had to be well-over a thousand people” in the Quad during the filming on Wednesday afternoon. 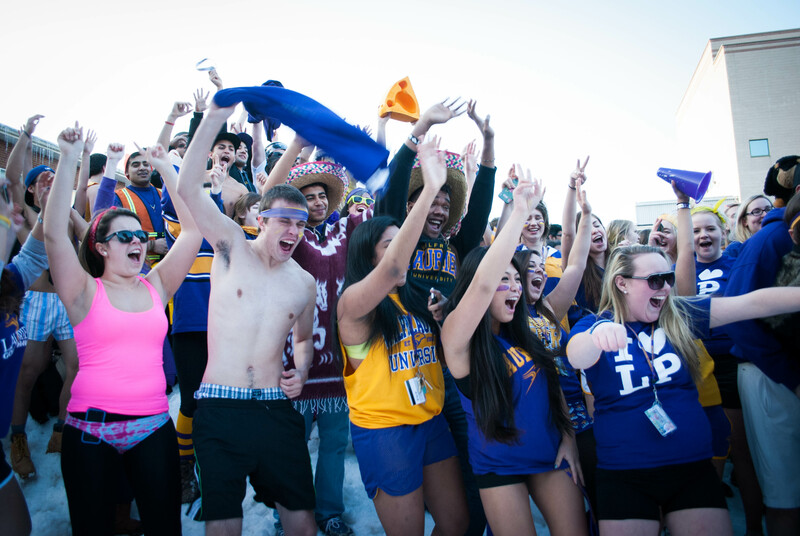 Students either dressed up or dressed down for the event, braving the cold to dance and cheer. Right in the front row of the crowd were WLUSU president Michael Onabolu and president-elect for 2013-14, Annie Constantinescu. While King acknowledges these viral videos won’t be around for too much longer, he noted that the event was memorable for many of Laurier students in attendance. “I can see it going another week or two, you know, it’s just a quick viral video on YouTube, something to look back on and say, ‘I was a part of that,'” he said. The video was posted late Wednesday evening.